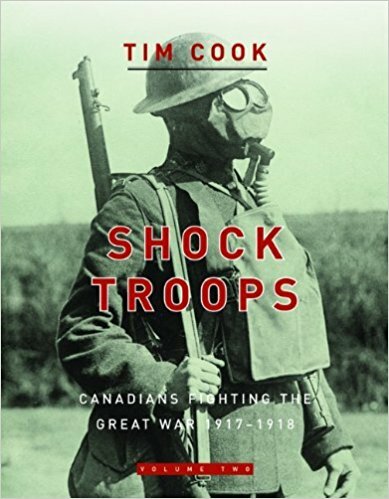 Shock Troops follows the Canadian fighting forces during the titanic battles of Vimy Ridge, Hill 70, Passchendaele, and the Hundred Days campaign. Through the eyes of the soldiers who fought and died in the trenches on the Western Front, and based on newly uncovered Canadian, British, and German archival sources, Cook builds on Volume I of his national bestseller, At the Sharp End. The Canadian fighting forces never lost a battle during the final 2 years of the war, and although they paid a terrible price in the killing fields of the Great War, they were indeed, as British Prime Minister David Lloyd George exclaimed, the shock troops of the Empire. Rifleman G.F. Andrews of The Queen's Own Rifles of Canada, Normandy, France, 20 June 1944.